Janesville, Wis. — Rinehart Targets®, the worldwide leader in quality archery targets, is proud to announce the addition of the new Raven to its Competition Series of 3D targets. For shooters looking to ‘aim small, miss small’, the new Raven is the ideal practice partner to add to any range. Completely molded from beak to feathers with Rinehart’s Signature self-healing foam and featuring the realistic details that’ll fool even a flock of birds flying by, this new Raven will help shooters hone their shots with ultimate precision. Rinehart strives to capture the realistic features of each 3D animal through carefully crafted target construction, from its hand-painted details to its size and simulated weight. 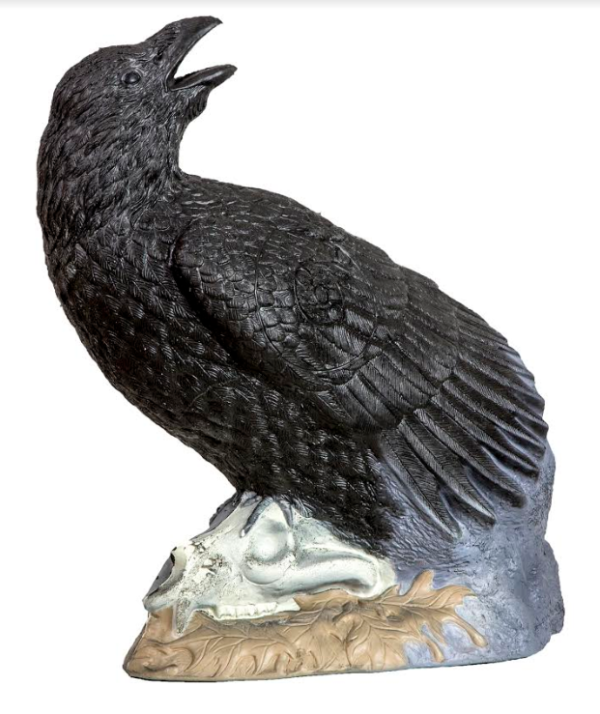 The new Raven 3D target measures 19” in height with a length of 17” and a simulated weight of 4lbs, an exact build to replicate the real animal. The Raven is not only lifelike; its all-weather and UV-resistant Signature Series foam body can take a beating from both field points and expandables without ripping or tearing. This high density, self-healing foam construction also allows for simple and quick arrow removal, a trademark feature for all Rinehart Targets. The new Rinehart Raven Target has an MSRP of $103. Replaceable core is not available for the Raven.